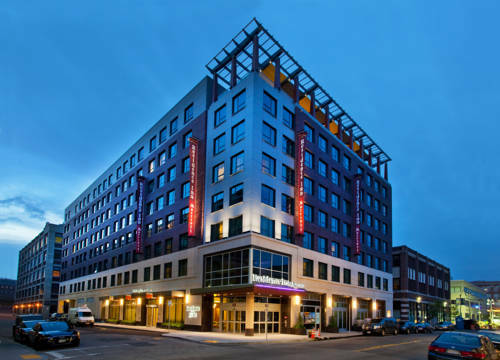 Our stylish and modern all-suite hotel is conveniently located steps away from Fenway Park and is the closest extended stay hotel near Boston University and Northeastern University campus. Truly unique amongst Boston extended stay hotels, and overlooking Fenway Park, the heated indoor pool, full service indoor/outdoor Terrace Bar and rooftop deck make an ideal starting point before enjoying a Red Sox game. The property is also located near Boston Childrens Hospital, Brigham and Womens Hospital and Longwood Medical Area. Hotel accommodations include: studio suite, one bedroom suite, two bedroom suite or four bedroom suite. Hotel can also gaurantee connecting studio and one bedroom suites for a $50 one time fee. Standing 24 feet tall, this is the world's tallest statue of a sports star. Rocky Marciano was a hometown hero and, in the 1950s, the heavyweight champ of boxing. Wax figures in varyingly lurid or titillating basement dioramas chronicle witch history and hysteria across Essex County.